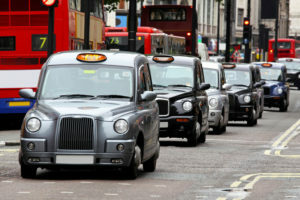 To learn the Knowledge of London and become a Green badge London knowledge taxi driver you need to learn and memorise 320 basic routes, 25,000 streets within those basic routes and approximately 20,000 landmarks and points of interest located within a six-mile radius of Charing Cross in the centre of London, a massive undertaking by any stretch of the imagination. The hypnotherapy service we provide is primarily aimed at people who are on their Taxi knowledge tests called ‘Appearances’ and maybe struggling to recall all that information when faced with a stern faced examiner. 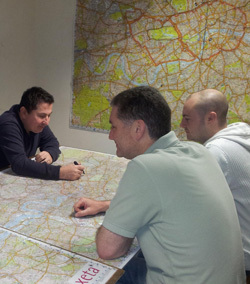 The appearances are the stage of the black cab knowledge test process that generates the most fear, having to sit in front of an examiner with nothing apart from what you have learnt in your head, and correctly identify 4 routes between 2 places. To get through the appearances you are required to correctly identify places, road names, route lines, etc, and achieve 24 or more correct, out of a possible 40 in each knowledge test appearance. The number you get correct means you score either an AA, A, B, C or D. An AA means you have confidently scored the maximum with everything correct and you move straight up to the next level. Many think this is impossible or a fairy tale, but one of our students scored an AA this week! (Oct 16). An A = 6 points, B = 4 points, C = 3 points and D = 0 points and you are required to score 12 points within a maximum of 7 appearances at each level, i.e. 56’s, 28’s and 21’s. If you fail to achieve this you revert to zero points at your current level and have to start accumulating points again. This is known as ‘being red lined’. If you are red lined twice you drop back to the previous level again. 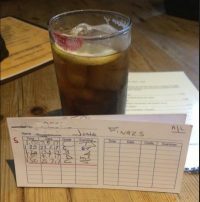 Many people when they go for their appearances suddenly find all the knowledge of London they have acquired though hours of study and miles of running lines disappears as soon as they are asked a point or they have to run a line from one point to another. They find themselves shaking, sweating, and stumbling over the most basic of words and points. The annoying thing being when they leave the appearance it all becomes crystal clear again! Many walk away beating themselves up saying things like ‘but I know that, it’s really simple, why couldn’t I remember it in there?’ Unfortunately that negative thinking is all part of programming themselves for further failure. Sometimes that fear and anxiety can start in the appearance, in the waiting area, entering the building in Blackfriars or on the way there. The trouble is that fear will build every time, especially if a ‘D’ is scored or you are ‘Red lined’. The mind is trying to protect you from what it perceives as a danger because of the anxiety it generates, and since you keep going back it increases the fear to try to stop you! On average the people I work with came to me scoring a ‘D’ in maybe 80% of their appearances, following my specialised program and preparing before the appearances they score a ‘C’ or above on average 80% of the time. The speed that this is achieved varies as everyone has different circumstances to overcome. Please note this only applies to the people who are dedicated to learning the Knowledge of London correctly, hypnosis is not a magic wand that can make up for someone who doesn’t want to get out there and learn it!!! How Do You Find Out More Without Committing Yourself? The process involves an initial free consultation where you can meet me and I can explain how I work and you can ask any questions to make sure I know what I am talking about! When you are satisfied you want to work with me, we will commence the sessions which will use Hypnotherapy and specialised Coaching specific to your needs, to deal with the reasons why your appearances are not what they should be. We will resolve whatever issues that cause you to become anxious when you are in exam type conditions. We will teach you memory techniques and how to deliver the information asked for in a clear, concise way with confidence and self control. You will learn an instant technique that you can use to change any nervousness into a positive energy that you can use any time, any place. We will analyse anything you feel needs to be improved from the last appearance. We will also do mock appearances where we can pinpoint anything that becomes apparent when you believe you are in that room during a taxi knowledge test! It is usual to have sessions during the time the appearances are ongoing, obviously how many is up to you. 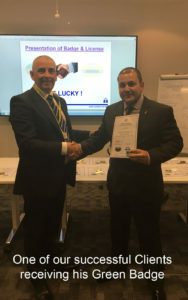 I will let you know what others that have succeeded in attaining their Green Badge have done and agree a program with you to suit your particular circumstances. Recent results from Knowledge students that I have helped with their appearances. 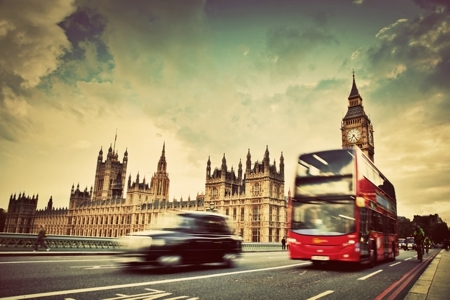 Knowledge of London School – Congratulations!!! Well done to one of our students Dan C. who scored a C with Mr Thomas and is now 9 points on 21’s. Well done to one of our students Richard D. who scored a C with Ma’am Gerald and is now 9 points on 21’s. Well done to one of our students Aaron Y. who scored a C with Mr Thomas and is now 6 points on 21’s. Well done to one of our students Arthur C. who scored a C with Ma’am Ayres and is now 9 points on 21’s. Well done to one of our students Richard D. who scored a C with Mr Wloskowicz and is now 6 points on 21’s. Well done to one of our students Dan C. who scored a C with Mr Wilkins and is now 6 points on 28’s. Well done to one of our students John N. who scored a C with Mr Swire and is now 3 points on 28’s. Well done to one of our students Darren W. who scored a C and got his drop to 21’s. 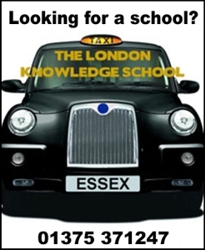 Via Taxi Knowledge of London School – Congratulations!!! Well done to one of our students Barry S. who scored a C and is now 3 points on 21’s. Well done to one of our students Darren W. who scored a C with Mr Wloskowicz and is now 9 points on 28’s. Well done to one of our students Mick P. who scored a C and is now 3 points on 21’s. 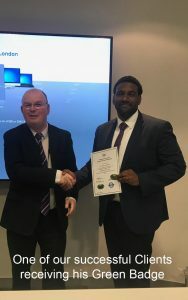 Well done to jeff Gyekye who got his Req with Mr Swire and has now reached the required level to become one of London’s finest , the school would like to wish Jeff and his family all the best for the future. Well done to one of our students Aaron Y. who scored a C with Mr Wilkins and is now 3 points on 21’s. Well done to one of our students Richard D. who scored a C with Mr Thomas and got his drop to 21’s. Well done to one of our students Darren W. who scored a C with Mr Whitehead and is now 6 points on 28’s. Well done to one of our students Richard D. who scored a B with Ma’am Gerald and is now 10 points on 28’s. Well done to one of our students Aaron Y. who scored a C with Mr Harvey and got his drop to 21’s. 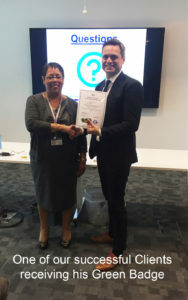 Received via Text Message from Jo E.
Hi David I finally got my req yesterday! Still can’t believe it! Thank you once again for all your help in unlocking my Brain and teaching me to handle anxiety, I’ve never looked back since our sessions! So thank you! still not sunk in and I still woke up at 6am thinking I had to call BB! Years of habits now must be changed thank god and this is the best hangover I’ve ever had! Since our session in January I’ve had 6 C’s , 1 B and 2 D’s which says it all! I finished with Mr Wilkins 4 lovely old bankers, man that handshake was the proudest moment of my life! Well done to one of our students Darren W. who scored a C with Mr Thomas and is now 3 points on 28’s. Well done to one of our students Jeff G. who scored a C with Mr Thomas and is now 9 points on 21’s. Two of our students collect their Green badges today having passed the Knowledge of London fully and become two of Londons finest! A big congratulations to Paul Gander and Ian Robinson!!!. Well done to one of our students Rob B. who scored a C with Mr Thomas and is now 6 points on 28’s. Well done to one of our students Peter W. who scored a C with Mr Wloskowicz and is now 9 points on 21’s. Well done to one of our students Barry S. who scored a C with Mr Swire and is now 3 points on 21’s. Well done to one of our students Aaron Y. who scored a C with Mr Whitehead and is now 9 points on 28’s. Well done to one of our students Peter W. who scored a C with Ma’am Gerrard and is now 6 points on 21’s. 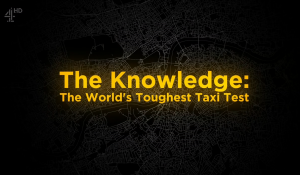 Via Taxi Knowledge of London – Congratulations!!! From Jo E. Got a B today from the lovely Mr Wilkin yay ! 3-0 up OMG ! 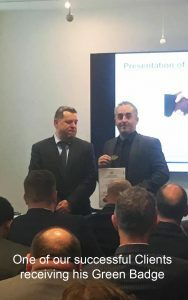 Via London Knowledge School – Congratulations!!! Well done to Cliff P. who scored a C with Mr Thomas and is now 3 points on 56s. Received via Text Message from Peter W.
Hi David ‘C’ Mr Thomas felt good 2day. Cannot believe I’m nearly done and all down to you for opening the right door for us to see the light! Haha I feel nothing but excitement on my apps now since reaching 21’s Thank you once again! Received via Text Message from Chris M.
Hi Dave, just to let you know I scored a ‘C’ today with Mr Thomas! It went well. A couple of things I could have done better. Received via Text Message from Jeff G.
Thanks for the pep talk the other morn, done the job as managed to score a ‘C’ with Ma’am Gerald. TBH that was exactly what I needed. Received via Text Message from Barry S.
Scored ‘C’ Mr McDowell on 21’s now thank you. Well done to Ian Robinson who scored a C with Mr Wilkins and has now reached the required level to become one of London’s finest , the school would like to wish Ian and his family all the best for the future . Well done to Aaron Y. who scored a C with Mr Shaw and is now 6 points on 28s. Received via Text Message from Richard D.
Got Mr McDowell, a little nervous before but also with some firm resolve. I got 31 points which is a comfortable ‘C’, 1 mark off a ‘B’. During I managed to hold it together as after a good first question I immediately dropped the next 2 points!! So fear of failure crept in but nailed the runs. Got two perfect 10’s. Hallo David scored today am 3 all am now up for my drop 28/21. I had Mr Thomas. Well done to Darren W. who scored a C with Mr McDowell and has got his drop to 28s. Well done to Aaron Y. who scored a C with Mr Swires and is now 3 points on 28s. Well done to Julie B. who Scored a C with Ma’am Ayres and is now 3 points on 56s. Well done to Paul G. who scored a C with Mr Whitehead and is now 9 points on 21s. Well done to Ian R. who scored a C with Mr Patel and is now 9 points on 21s. Hi David Thanks for the support, got my drop to 21’s. Had Mr Whitehead scored 31 points felt OK.
Well done to Paul G. who scored a C with Mr Whitehead and is now 6 points on 21s. Well done to Ian R. who scored an A with Mr Wilkin and is now 6 points on 21s. Received via Telephone conversation from Jeff G.
Got my drop to 21’s today thank you so much for your help. Well done to Paul G. who scored an C with Mr Wilkin and is now 3 points on 21s. Well done to Aaron Y. who scored a C with Mr Swires and is now 9 points on 28s. 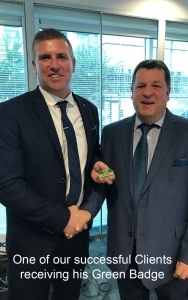 A big well done to Andy Yeats who scored a C with Mr Shaw and has now reached the required level to become a London taxi driver we wish him the best of luck . 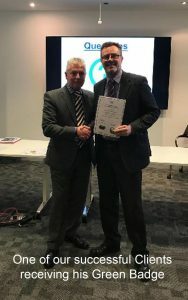 I would personally like to thank Andy for all the help he has given to the school ,and me over the last year all the best from everyone at The London Knowledge School . Received via Text Message from Andy Y. Scored a C with Mr Shaw (finally). Got my Req. Thank you for your huge contribution, help and support. Hi David scored a C with Mr Swires that puts me 3-2 up. Was ok on the day. Received via Text Message from Martin G.
Received via Text Message from Shane K.
Received via Text Message from Mick P.
Hello David, had some good news Friday I scored a B on my appearance so I’m smiling. Tried to stay calm, took my time, must have worked! Hi David I scored a C with Mr Wilkins. 27 points could have got more but dropped points of interest I didn’t know. Thanks for help. Well done Martin T. who scored a C with Mr Swires and is now 3 points on 28s. Received via Text Message from Jo C.
Hi David I scored a C today Mr Swires yay! More controlled but still lacked discipline! But so much better! No anxiety! Thx again for all your help! Well done to Julie B. who scored a C with Mr Patel and is now 6 points on 28s. Scored C Mr Thomas, thanks for your support. Really blessed and really pleased. Felt amazing. Well done to Darren W. who scored a B with Mr Swires and is now 11 points on 56s. Well done to Andy Y. who scored a C with Ma’am Gerald and is now 9 points on 21s. Hello David scored a C Thanks for your help. Felt quite calm, had Mr Shaw, afterwards felt good. Well done to Paul G. who scored a C with Mr Swires and got his drop to 21s. Received via Text Message from Luke E.
Scored David, Mr Shaw again, C. I called the line first which was massive when you’re sitting there. Felt nervous in the morning but once I was sitting down was much better. Well done to Aaron Y. who scored a C with Ma’am Chennells and is now 3 points on 28s. Hi there David just to let you know I got a C yippee. Thanks mate I got Mr Gunning and I felt on top of the world! Got Thomas just a C, with his bankers he will only give a C! Didn’t think my first two lines thru so naughty me! as nerves got the better of me. BUT no anxiety or breathing problems so last two pulled it together! I feel so, so happy and confidence is renewing all thanks to you and your techniques! Can’t wait for the next session!. Well done to Darren W. who scored a C with Mr McDowell and is now 7 points on 56s. Received via Text Message from Ben K.
Only seen once before appearance. Had Ma’am Ayres, was still nervous but more controlled I think. Scored a C still lots of room for improvement but over the moon with the result. Well done to Andy Y. who scored a C with Mr Patel and is now 3 points on 21s. Scored a B today David. Had Mr Swire I felt good, took my time and delivered well. Dropped a few points which I knew but could not remember. Well done to Paul G. who scored a C with Mr Thomas and is now 3 points on 28s . Hi David. I scored an A today. I had Mr Harvey. Went really well, got 10/10 on my first 3 runs, my last scored a 7 as I went slightly wide. Received via Text Message from Kev T.
Scored C with Mr Patel this morning, now 3-1 56’s delighted thanks. Morning David, got my drop to 28’s. Scored C with Mr Thomas. Hi David. I scored C on appearance this morning so that puts me 3-2 up. Was a bit nervous on first run but then ok. Via Facebook – Congratulations ALL DONE!!! I initially went to see David after getting redlined on 21’s, I was struggling terribly with nerves on every appearance and on the lead up to them, I knew I had the knowledge in me but was finding it hard to show the examiners what I knew and was almost self sabotaging the appearance just to get out of the chair as quickly as I could. I must admit I was initially sceptical but was willing to try anything. I found David extremely calming and knowledgeable about the whole process and he helped me with different techniques to help control the nerves. 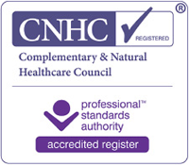 I can honestly say that after seeing David, whilst the nerves never disappeared completely for me I was no longer filled with dread in the waiting room and in the chair and was able to show the examiner what I knew. I can’t recommend David enough I my only regret is that I didn’t go to see him earlier. Hi David, it is B’s wife here. 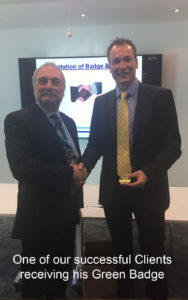 He has asked me to send you a photo of him receiving his badge and to pass on his sincere thanks to you for all your help in his knowledge journey. You made a great difference to his confidence and helped him get through those dreaded appearances. I can’t stress how helpful I found both David and his sessions were. When I first came to see David (upon hearing from other study partners based at the London Knowledge School in Grays) I was struggling big time handling my nerves and anxiety on my appearances. The nerves were causing me to almost self sabotage my appearances just so I could finish them over with quickly. After having a few sessions with David i came from 3-0 down on 28s to get back to 3-3. Albeit I messed the last one up to lose 4-3, I had another crack at 28s with more sessions to get through 4-1, followed by passing 21s at the first time of asking. I didn’t see a finishing line prior to meeting David but he helped me realise it wasn’t an IF I’ll finish the Knowledge, it was WHEN! I have nothing but praise for David at 4u4 life even after the first consultation I walked out feeling on top of the world. David helped me through the Knowledge, he helped with my nerves and my confidence, he also helped with lots of other things in life, I gained so much from the sessions even when not being hypnotise I found the chats we had really good and would highly recommend him. 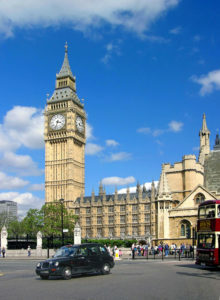 Just wanted to say a huge thank you for all your services in helping me with my severe Anxiety attacks whilst I was on the Knowledge of London exam appearances. I had never suffered from Anxiety before and just thought I had bad nerves, so for you to highlight the difference and work with me step by step to control it was the best thing I ever did. I spent 6 years on the. KOL and the final exam process was where I fell down and nearly gave up after being double red lined but decided to give it another shot but had to do something to control my ‘nerves’ then another student gave me your number and the rest is history. I felt so much better after a few sessions that I even had the courage to agree to do the Channel 4 documentary last year and have never looked back. 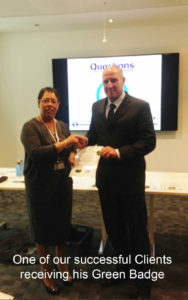 I finally received my ‘Handshake’ last August and got my badge in October. It’s not been an easy transition for me but gradually you get used to the long hours and change of circumstance from your previous life’s employment! For me it is one step at a time but nothing beats being your own boss! Thank you once again and I strongly advise anyone dealing with Anxiety no matter in what profession or circumstance to get help and let David help you deal with it! I met David pretty late into my exam process. After 9 appearances and only 1 D, I moved onto 21’s. It was here that I seemed to lose my way and my confidence. I was given 2 D’s in a row and my head was messed up, I couldn’t see a line when sitting in the chair during the exam. David came recommended by some colleagues at my knowledge school. After seeing David, by using different techniques, he managed to instil positive thinking and calmness in me. I felt at ease walking into the exam room, could see everything clearly and called the best I ever had. I would thoroughly recommend using David. I simply cannot recommend David & 4u4life enough. 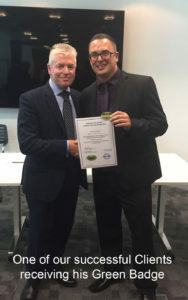 I have absolutely no doubt that David was a significant factor in my achievement of passing the Knowledge of London and doing so relatively quickly. I have to say I was a sceptic. I had never tried any form of alternative therapy before and on my way to the first appointment with David seriously doubted hypnotherapy would work on me. It did and I’ll forever be grateful to David and the part he played in my achievement. I had scored on my first appearance despite the nerves but I’d flopped my second. I had been asked four runs that I was sure I knew but just couldn’t get them out. It was as if my brain had shut down and my mind was full of a grey fog that just grew worse the harder I tried to calm down. After three runs I was exhausted and just couldn’t wait to get out the appearance room scoring the inevitable D. I just couldn’t understand how this had happened to me. I had previously held a management position with a great deal of responsibility and had never floundered in such a way before. I felt embarrassed and straight away began to fear the next appearance in 56 days time. Something had to change but I wasn’t sure what I could do. Some of my colleagues from the Knowledge school had been working with David but I just didn’t think it would be for me but I was pretty desperate not to go through that same appearance room freeze again. I knew my stuff but hadn’t been able to perform as I should. I met David and was immediately at ease. He was a normal bloke and I someone I could chat to and explain how I’d felt. I felt he understood what I was feeling during appearances and above all he had strategies for dealing with it that worked. From my first session with him he totally changed how I mentally prepared for my appearance and also how I physically responded in terms of my body position and little things such as stopping me covering my face with my hands as I thought of my line. After two sessions I went for my third appearance. It was no longer the ordeal I had experienced previously. An element of nerves were still there but I found myself more confident and able to think clearly. I could see the lines I wanted to call and use the knowledge I had gained effectively. I scored an A and had recovered the lost ground of my previous D in one go. David and I settled into a pattern of 2 sessions in the week prior to every appearance. 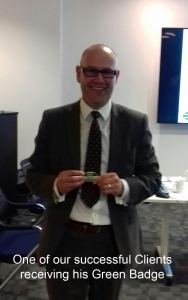 I scored on the next eight consecutive appearances and only received one D before being awarded my green badge which was achieved in a total of thirteen appearances. Let me be straight. I worked extremely hard on the Knowledge. For me it was a seven day week and often twelve hours a day effort and if you don’t do the work no amount of hypnotherapy will get you through. However, I have no doubt at all that my passage through the appearance stage was made more straightforward and certainly quicker because of David and his work with me. He knows the Knowledge and understands how it works and the effect it has on candidates. We worked on a wide variety of techniques and it never ceased to amaze me how David was able to suggest a little tweak here and there that I’d implement successfully during my appearance. I’ll be honest I loved our sessions and felt incredibly positive and alive after them. I’m not sure what else to say really other than I cannot recommend David and 4u4life enough. He clearly has the ability and experience to have a substantial beneficial effect on those engaged in the Knowledge of London but I know his skills have a much broader range and I have no hesitation in urging you not to suffer in silence any longer. Go and see David and start to feel more positive about life and what it can give you. I was doing over 60 hours a week on the knowledge, I got red lined on 56’s and I was now 3-1 down on 28’s, It wasn’t like I wasn’t putting the work in I will just have to blame it on the chair as I’m sure you will all agree, as soon as I would come out of an appearance, the lines would come straight to me, of course it’s too late then. Then I found David and hypnotherapy. I never believed in it at first, but trust me it works I went straight through 28’s then 21’s and up against some of the main people you would not want to call your name in the waiting room, in the end I would of happily done an appearance sitting in front of all the examiners at the same time, this help is unbelievable and will change your life. I’m now working with David with my fitness goals now, watch this space, be lucky ! I first went to see David 10 months ago as I was trying to pass the knowledge to be a London cab driver and kept failing appearances. I have suffered with dyslexia my whole life and was told to leave school early because there was no point in sitting any exams. 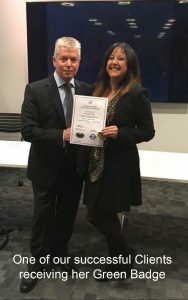 David used hypnotherapy to help me to control my nerves and learn memory techniques so I was able to pass the last six exam appearances in a row and qualify fully as a London Cab driver. Thank you David for all your help. I thoroughly recommend him and will be seeing him again to sort some other things out later. David is very professional and made me feel very relaxed. He explained during consultation how the hypnotherapy would work and what I could expect from it. By working with David I managed to overcome my anxiety before and during exams. Highly recommended.